"How's it ever going to work?! You're scared!" 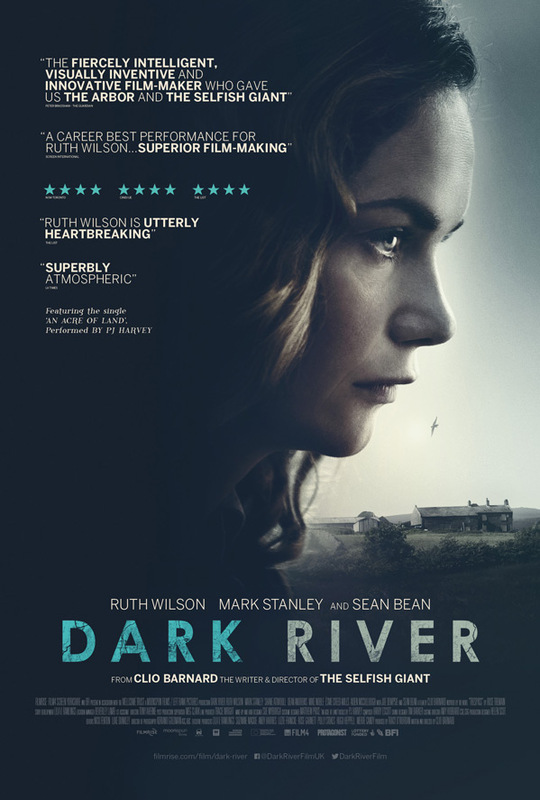 FilmRise has debuted a full US trailer for the indie drama Dark River, the latest feature from British filmmaker Clio Barnard (The Selfish Giant, The Arbor). The film stars Ruth Wilson (of The Lone Ranger, Saving Mr. Banks, "Luther", "The Affair") as a woman who goes back to her farm in rural England. Following the death of her father, Alice returns to her home village for the first time in 15 years, to claim the tenancy to the family farm she believes is rightfully hers. She ends up in a stressful fight with her brother, played by Mark Stanley. The cast includes Sean Bean, Shane Attwooll, Steve Garti, and Una McNulty. This is a superb trailer that will make you curious to see this, with lovely music and strong performances. It's the same as the UK trailer, but we've added posters below. Following the death of her father, Alice (Ruth Wilson) returns to her home village for the first time in 15 years to claim from her estranged brother (Mark Stanley) the family farm she believes is rightfully hers. From acclaimed filmmaker Clio Barnard, one of the premier new voices in British cinema, Dark River is a taut and powerful psychological drama. 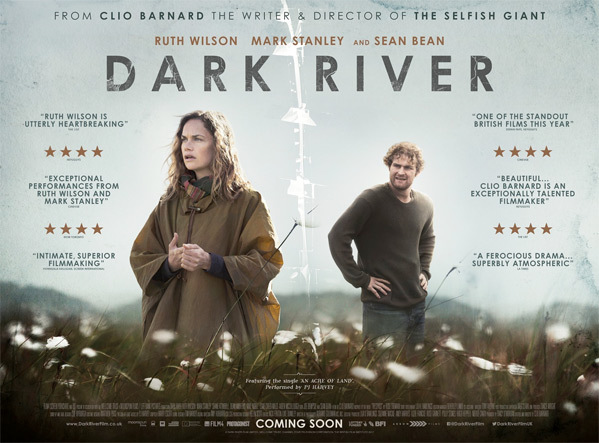 Dark River is both written and directed by award-winning British filmmaker Clio Barnard, director of the film The Selfish Giant and the documentary The Arbor previously, as well as a few short films. The film first premiered at the Toronto, London, and Torino Film Festivals last fall, and it will play next at the Seattle Film Festival this June. FilmRise will then open Clio Barnard's Dark River in select US theaters starting on June 29th later this summer. Who's interested in seeing this film?